Tech’s impact on the human connection is a white hot debate, with no connection more sensitive than the bond of parent and child. In the future, innovations in sensors, wearables and touchscreens may produce products that can help parents identify mood swings, track growth and development, personalize learning and more. 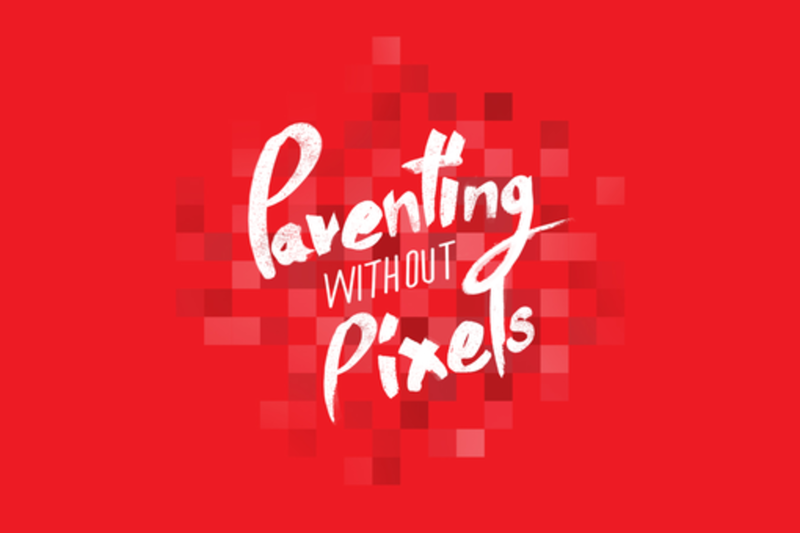 How will tech empower parents in their universal pursuit of raising a happy child? Do devices assist or threaten the notion of responsible parenting? A panel of futurists, product developers and experts in early childhood development share their vision of parents and tech in the future, discussing societal challenges and opportunities to ensure babies’ futures remain bright. Entrepreneur, author of Enchanted Objects, and researcher at the MIT Media Lab. CEO at Ditto Labs an image-recognition platform that scours Instagram and Twitter to find brands and products. My products have been featured at the MoMA, covered in The New York Times, WIRED, The Economist, and parodied on the Colbert Report. Lee Moreau is a principal at global innovation design consultancy Continuum, where he combines a unique capacity for complex systems thinking with a deeply empathic perspective to reimagine the contemporary world. Through research, analysis, and imagination, Lee develops insights and solutions that enable clients to understand their own cultural, material, and economic circumstances and capitalize on opportunities available to them. At Continuum, Lee has led teams to build holistic systems for massive and complex systems, such as the global retail experience for BBVA, a bank with a presence Europe, Latin America, and the US. Some of his other projects have included service strategy for an international casual dining chain, the envisioning of the future healthcare experience for Medicare patients, and the master planning and design of Procter & Gamble’s innovation center in Guangzhou, China. Prior to joining Continuum, Lee was the Director of Environments at 2x4, an internationally recognized design firm, where he led projects for clients such as Novartis, Nike, Lincoln Center, and the MoMA Design Store. Previously, Lee also worked as a designer at IDEO and at the Rockwell Group. Lee received his B.A. from Bennington College and a Masters of Architecture from Rice University. Michael Shore, Ph.D. is currently Vice President and Head of Future Play: Global Foresights, Invention, and New Ventures at Mattel. As an organization designed to accelerate Mattel’s innovation, Michael’s team leads research and monitors trends to inspire new directions and strategies; manages open innovation platforms; and, incubates, evolves, and launches new play platforms and products, Over the past 20 years, Michael has established Mattel’s global research infrastructure and overseen insights work on all Mattel brands including American Girl and Fisher Price. He has been responsible for investigating kids’, parents’ and adults’ attitudes towards leisure time and play across all categories and platforms including entertainment, traditional toys, digital/video gaming, robotics, sports, crafts, and hybrid digital/physical platforms. Rosalind Picard, ScD, FIEEE, is the founder and director of the Affective Computing Research Group at the MIT Media Lab; co-founder of Affectiva, Inc.; and co-founder & Chief Scientist of Empatica, Inc., improving lives with clinical-quality wearable sensors and analytics. Picard was a founding member of the IEEE Technical Committee on Wearable Information Systems, and has two decades of experience creating and wearing computational sensors to learn about real-world emotion and activities. She is the author of over two hundred peer-reviewed scientific articles but is perhaps best known for her book, Affective Computing, which helped launch a new field by that name. She is a graduate with highest honors from the Georgia Institute of Technology and holds Masters and Doctorate degrees in Electrical Engineering and Computer Science from MIT. Her inventions have been named to top 10 lists, including NY Times Magazine's Best Ideas of 2006 and 2011's Popular Science Top Ten Inventions.